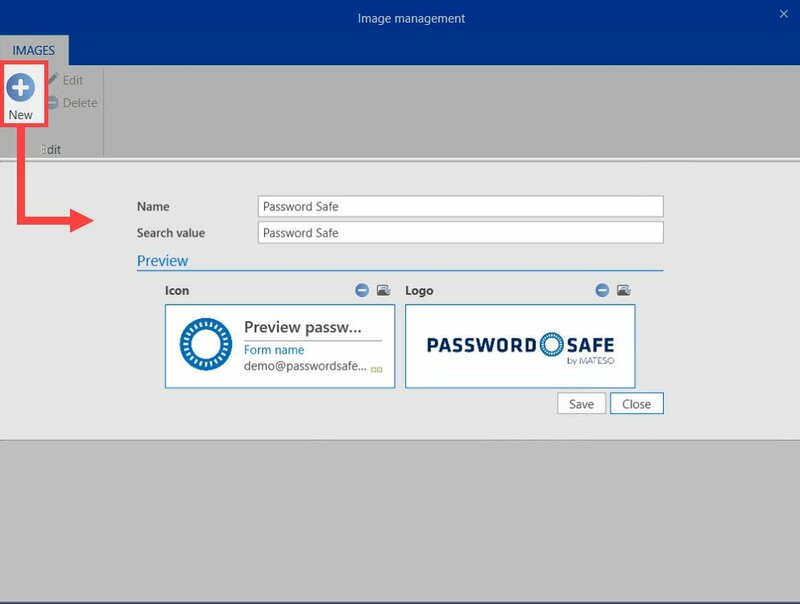 All logos and icons are managed in the image management. They can then be linked to the corresponding data records. The images are then displayed in the LightClient as well as in the list view of the client. *It is important that the setting “Ask for Favicon-Download “ is only considered, if the right “Can upload new password images “ has been activated! There are two ways to upload icons. 1. By creating or saving the dataset. Setting “Ask Favicon-Download “ is activated. A URL is stored in the data record. If these preconditions are met, the stored URL is checked for the favicon when saving the data record. If a favicon is found, it will be imported into the database and displayed in the data record in future. *If there are several deposited, always use the first one. 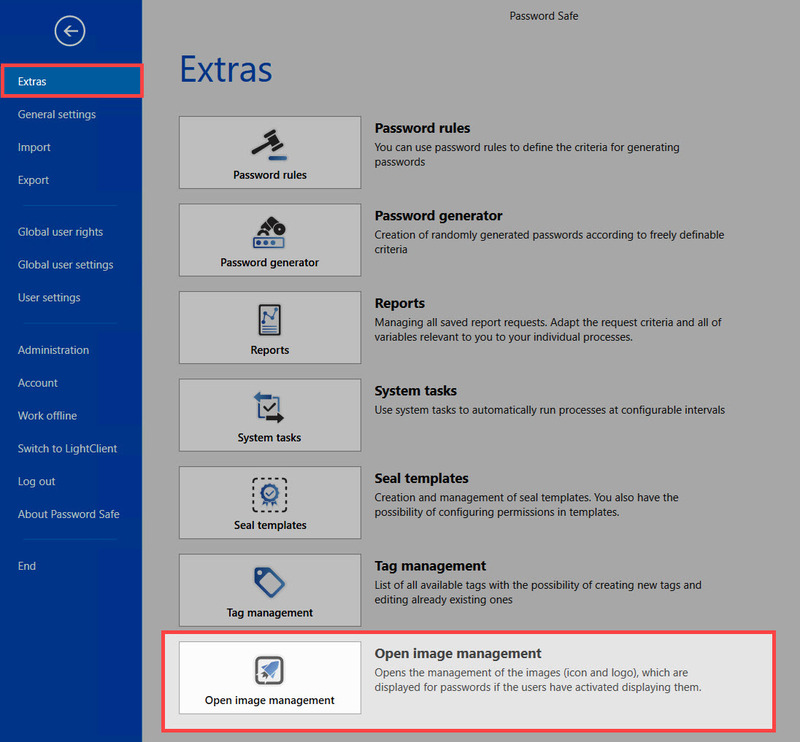 In the main menu in extras you can find the image management. Here, you have the possibility to store icons and logos manually. Click on the + symbol to open the mask for creating images. Name Name the picture here. This symbol can be used to upload locally saved icons and logos. *Please note that the icons and logos are not stored locally, but in the database. The maximum size of an image file is 100 MB. Several search values can be separated by a comma (“Netflix.de, Netflix.com”).